The best camera in the world can't make up for poor optics. Precision Ports suit a wide range of needs, conditions and experience. 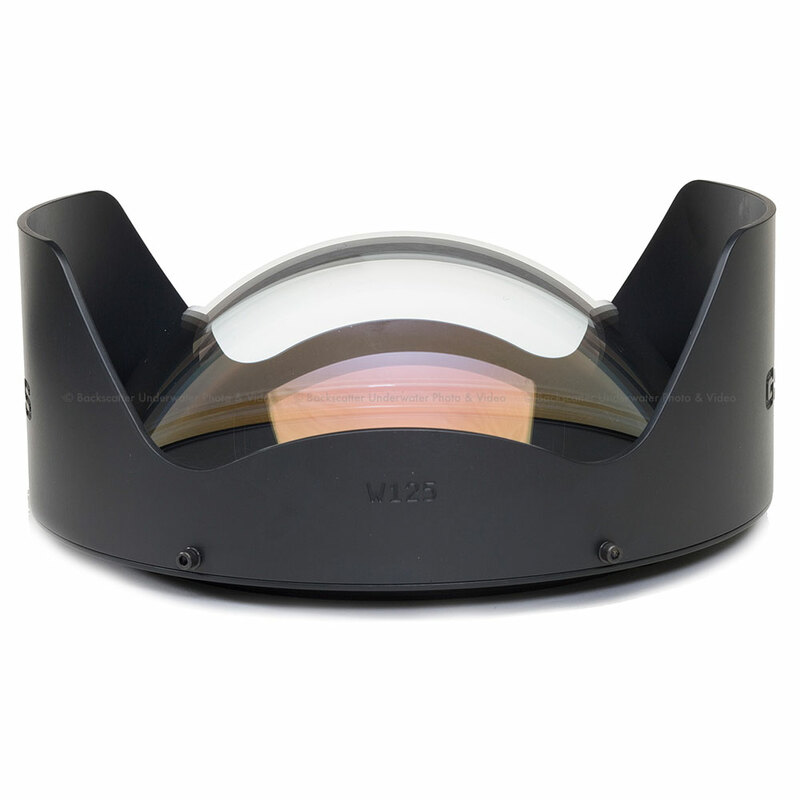 Choose between a dome for the widest viewing options or a flat port for the tightest of views. Based on Gates sibling DEEP EPIC, new accessories are added to the DEEP WEAPON kit including integrated collapsing Tripod Legs; Light Bar for mounting ULCS, TLC and other light arms; and Shade Extensions for the RED PRO External Monitor housing. Professionals the world over know that failure is not an option. From research to broadcast TV and cinema productions, they never take a chance... they take a Gates! Durable, "Bulletproof" machined aluminum, black type III hard anodize finish, and sealed with a nickel- acetate process. RED PRO Monitor Case is standard for the 5.0 RED PRO LCD from RDCC (LCD not included). Adjustable Buoyancy and Trim. Add / remove trim weights for ideal buoyancy and balance a genuine pleasure and key to stable, fluid shots. Precision PortsTM means clarity, sharpness and no vignetting (cutoff dark corners) to spoil your images. User friendly, field serviceable fingertip controls are 100% Mechanical no complicated or electronic controls. Complete Control of camera functions via the new REDMOTETM Controller. 2-Year Warranty. Only Gates offers a 2-year renewable warranty on all housings. Adjustable Handles for perfect grip and convenient access to controls. Seal Check is included with every DEEP DRAGON and assures housing integrity before entering the water. Construction: Machined Aluminum, Type III Hard Anodize finish. Stainless steel hardware. Flat Port FP80: A simple flat element good for macro work with diopters. Element is field replaceable. Tripod Legs for locked, stable shots are standard with DEEP DRAGON. Remote Lens Control, Comm input, Hydrophone and more are available accessories for DEEP DRAGON.